Are you bored today? Friv is your perfect place to play some Flash-based games online. They have more than 288 Flash-based games among my favorites games are like Baseball, Deluxe Pool, Extreme Rally, Super Mario and Tetris. Lets head to Friv and click one of those square icons to play a game now. Tell me what is your feeling. Just get to know how Lexar test their cards in their quality labs that facilities with more than 800 digital cameras and memory card devices, to ensure performance, quality, compatibility, and reliability of their product. I am pretty proud now that I owned a Lexar 2GB CF card as a photographer but its kind of difficult to get a Lexar cards in Malaysia. If you know where to get Lexar cards in Malaysia, please do let me know. Enjoy the video below. I suspect this is probably Nike’s 2010 April Fool’s Days joke. Believe it or not. Watch the video yourself. 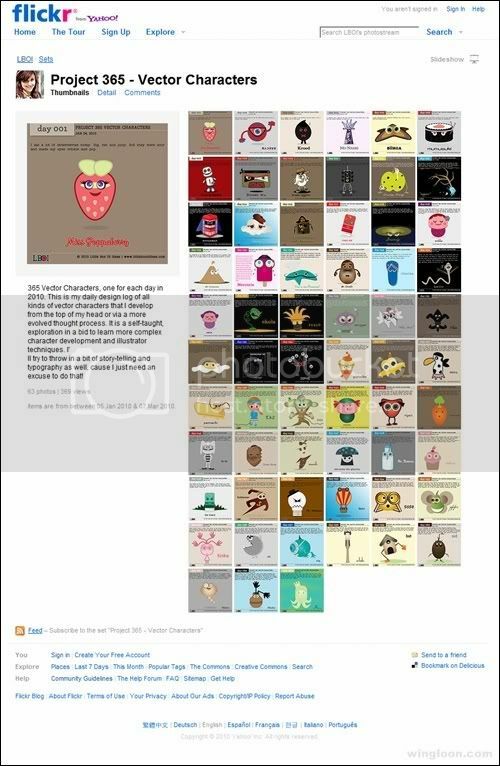 Sharing another cool project; 365 Vector Characters by Little Box Of Ideas (LBOI). This is a daily design of all kinds of vector characters with a bit of story-telling and typography as well. Hope you like it too. The new IKEA Catalogue 2010 is out and featured 376 pages of affordable products that never compromise on quality and style. 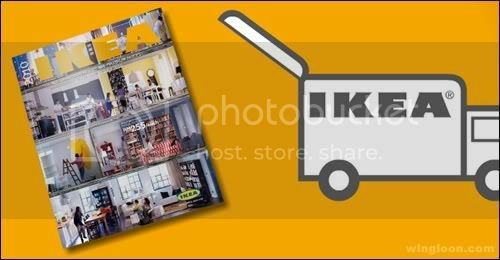 Be first to view IKEA Catalogue 2010 online if you have not received it at your doorstep. Go green and help our earth by viewing this IKEA Catalogue 2010 online and say “NO” to plastic bags!